Bright golden foliage emerges in spring and softens to a chartreuse green throughout the heat of the summer. 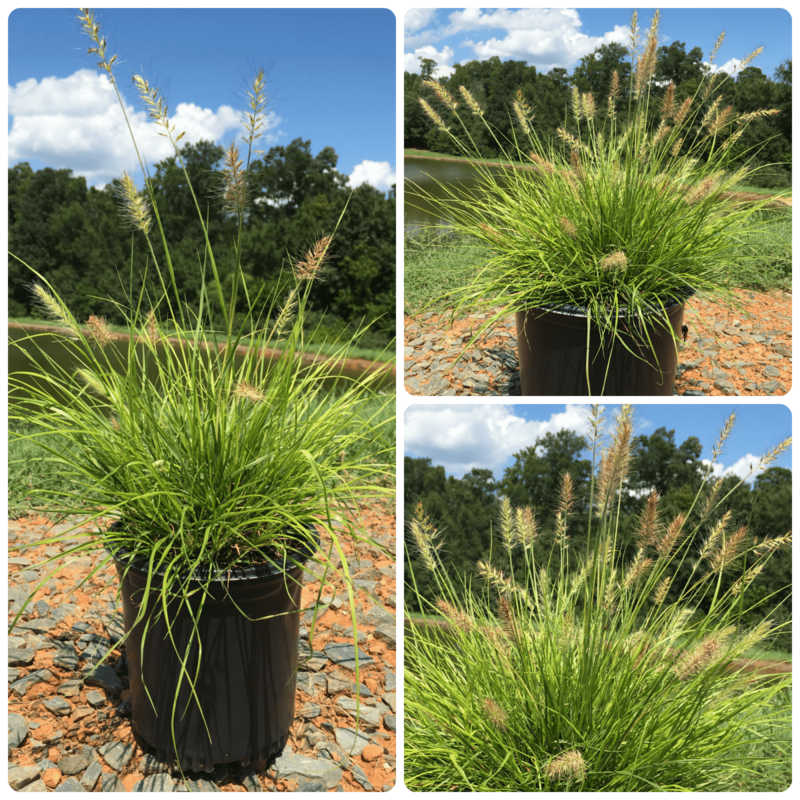 Lumen Gold is a compact fountain grass that grows just 1.5 – 2 feet in height (when in bloom) and width. Requires full sun. Drought tolerant once established. Deer resistant.